HURRY! These two cat and dog candle warmers are being discontinued after February 28, 2019 and will no longer be available to order. I do not carry any extras in stock. Scentsy has some new electric wickless candle warmers that are PAWS-itively PURR-fect! Now you can again enjoy the scent and light safely around your pets. Our wax is warmed with a 25 watt light bulb so it won’t burn your pet should they get curious. See the Dog Scentsy warmer up close here and the Cat candle warmer here. Secure online ordering for UPS delivery to your door. Remember to include some wickless candle bars to melt in your new warmer. Use this special link to get six bars for the price of five. Mix and match scents. 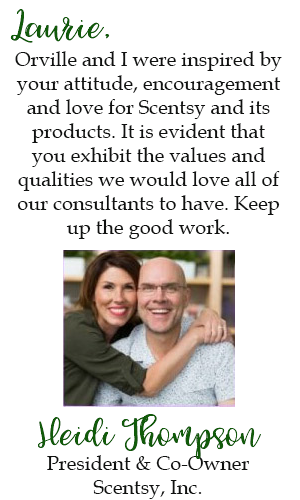 As we wrap up the Scentsy Fall/Winter 2018 Catalog season, it’s a great time to purchase the products you love, for less! We’re taking 10 percent off almost everything in our Fall/Winter collection this month, so whether you stock up on your favorites or splurge on something new, this is a can’t-miss sale for Scentsy lovers. Some of you may not get terribly excited about ten percent, but savings is a savings. Most all of our delicious warm, spicy, tasty, fall and winter scents are going away for the season. Some may return in September, others may be gone for good. So before you get sad that your Pumpkin Roll, Hug in a Mug, and other favorite scents are gone and you can’t get anymore, NOW is the time to stock up while it’s on sale. See all the scents that will be discontinued after February 2019 on the front page here. For your biggest savings, use this special Bundle and Save link to get one free when you buy five candle bars. Mix and match scents. Each year in Grand Haven, Michigan, on the shores of Lakes Michigan is an annual sand castle event called Castle Grande where they invite others to help them build the largest sand castle the town has ever seen, spanning over nine feet tall. Perhaps you have fond memories of building sand castles on the beach with a little plastic pail and shovel. Whatever your degree of enthusiasm, we can all agree that sand castles make people happy. It’s hard to be anything but in a good mood when you’re thinking about relaxing and playing on the beach! As part of our January 2019 BBMB (Bring Back My Bar) one month only promotion, our favorite candle scent, BEACH has again returned. It is described as Papaya and honeydew sweetened with a hint of coconut. Another way to describe it is FANTASTIC. We also still have our Summer Sand Castle electric wickless candle warmer available at 20 percent off, while supplies last. You’ll also want to stock up on scented candle wax bars. When you use this special Bundle and Save link, you can get six candle bars for the price of five. Who doesn’t love getting one free? You can mix and match scents. 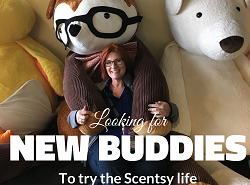 See all the January 2019 only BBMB scents here. Scentsy has an adorable pink heart shaped, Valentine’s Day themed, electric wickless candle warmer that is on sale at twenty percent off! This “Be Mine” warmer is an Element, meaning it heats the scented candle wax using a heating element vs. a light bulb. There is no lightbulb in this warmer. It is limited supply, so it’ll be sold out when gone. We won’t be getting more of these. A love as sweet as yours deserves a daily declaration! Inspired by the classic candies bearing innocent affections, this heart-shaped warmer is the perfect gift for the one you love this Valentine’s Day. Remember to include some scented candle wax bars to warm in this beautiful candy heart shaped warmer. For the best savings, using this Bundle and Save link to get six for the price of five mix and match scents. Head over to IncomeWax.com to see what else you may need to have. These BBMB (Bring Back My Bar) wickless candle scents will only be available for the month of January 2019.